For those of you arriving at Thornham Marina for the winter we have produced a map of the buoyage as you arrive in Prinsted Bay for the final approach to the marina. Remember as always that this is only a guide and things can change. As you approach the final leg to the marina make sure you do not get confused and follow on to Paynes boatyard next door. There is normally a yacht called Harmony on a mooring where you need to make the final turn to port and head towards our deep water pool. If you are early and the pool gate is still up please tie alongside the waiting pontoon on the portside where we will meet you and advise you on the berthing once you have entered the pool. Once alongside please remove your sails especially furling genoa's before you are lifted out as they have a bad habit of opening themselves during the winter gales. Further useful information on Thornham Marina can be found HERE. 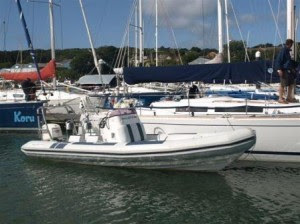 As most Thornham Marina regulars know, Jeanette and Simon were off sailing in Cowes Week last week in IRC Class 3 on the Grand Soleil 37, Grand Slam, jointly owned by Robin Dollar and Mike Ronson. The yacht was only launched this spring and this was her first major regatta. 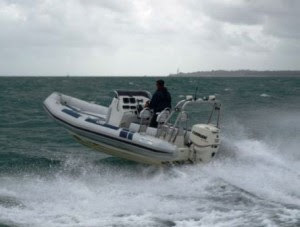 JBT Marine very kindly lent us one of their Ballistic 6.5m RIBs as support boat for the week which was a great help in getting around. We were moored in East Cowes Marina and our crew house was on the other side of the river in West Cowes, this was to ease the route home after the evenings social activities. We had a very eventful week both on and off the water with a few dramas on the way. The week started peacefully enough with winds of around 20 knots allowing us to post two solid results of 3rd and 5th, not a bad start. Monday brought with it our first problem of the week, as we walked down to the RIB for the short hop across river to Grand Slam's berth we discovered an empty bit of water where the RIB should have been. 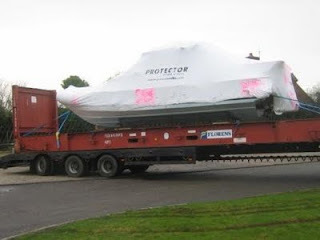 On asking around we learnt that someone had tried to steal it and another one in the night and they were now both high and dry on the ramp of the chain ferry at East Cowes. In an effort that Nick Gates would have been proud of, using traditional methods, we got some logs and gently rolled her down the sixty foot of slipway and back into the water just in time to board Grand Slam ready for the motor out to the start line for the days race. We would like to say a big thank you to the guys at the UKSA for their help in providing the logs and muscle power during this delicate operation. After all that we had another great race posting another 3rd. Tuesday and Wednesday were, after Mondays shenanigans, quieter days where we finished 4th and 2nd. By now we were starting to see a friendly problem emerge, our co-owners were helming alternate days and one was being rather more successful than the other. There were mutterings that one helm was being given better starts by the tactician along with plenty of other banter from the crew, but the pressure was on! Luckily, this problem was resolved on Thursday with a bullet, 1st in class. Unfortunately we did not get a chance to celebrate this as initially we were showing as second and it was not until later when it came to light that the boat that beat us was sailing on the wrong handicap that we were upgraded. After finishing in a tie for fourth on Friday things were looking very interesting at the top of Class 3. Each boat is allowed to discard their two worst results this meant that ourselves and a J39 Sleeper were on 12 points with the HOD35 Seatrack and Elan 450 Hurricaine only 1 point behind. The final race was set to be the mother of all races and the forecast wasn't going to help either. By Friday evening the forecast for Saturday was 25-30 Kts with gusts up to a third higher. This sent us scurrying off to the bar, not as you might think, to anesthetise ourselves against the pain to come, but to find another crewman for the heavy conditions. Mission Completed we headed off for an early night. Saturday started badly with a phone call at 7.00am not the RIB this time, but two of the crew had decided to drink through the night not only meaning they were in no fit state to race but keeping the two other crew sleeping on the boat awake all night as well. I am sure you can imagine how one sided the conversation was when Jeanette, Grand Slam's crew boss, got to the boat. 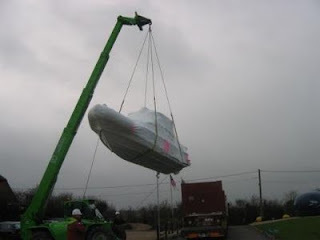 Once despatched we had another problem - not enough crew! 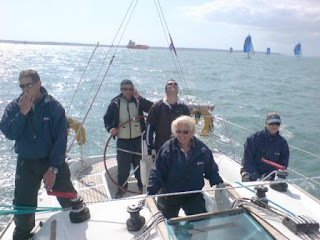 After many phone calls we discovered that two of our old friends were in Cowes but not racing that day so they were 'invited' to come and sail with us. All sorted it was off out on the water to the start on the Royal Yacht Squadron line. By the start the wind was already blowing 25kts from the SW and with a long course, short tacking up the mainland shore in the western Solent against the tide and runs down the tide it was going to be a proper champion's race. About this time we realised that Hurricaine had not come out to play, one down two to go! The first beat up past Beaulieu saw both Seatrack and Sleeper pushing too far into the shallows and hitting the bottom, but not getting stuck for long enough and by the first mark we had the slightest of leads, it was then spinnaker up and off down wind. Shortly before the second mark we had our first broach and had to drop the spinnaker. By the time we had recovered all three boats were back together again with Sleeper just in front of us as we started the second beat. By the time we reached the second windward mark we had again managed to open up a lead and this time we hoisted a smaller spinnaker for the run down. With the wind now gusting over 30 Kts this was to much and we suffered an almighty gybe broach putting two of our crew underwater. We got the spinnaker down and carried on under white sails. Many others were having similar problems, the only one revelling in the conditions was Seatrack who sneaked past us just before the leeward mark. Once again we had better speed upwind and reached the last windward mark first, but with no usable spinnakers left were at the mercy of Seatrack and Sleeper as they hoisted once more. Whilst we gently goose winged down wind we had a chance to watch the skill of Seatrack as they put in several gybes in winds gusting 35 kts. Sleeper had a couple of broaches which kept them behind us but we had no defence against Seatrack who pipped us to the mark and held us off on the final short beat to the finish. We later learned of the drama aboard Sleeper who shortly before the leeward mark had a problem off Lepe Spit and a call was made to cut the spinnaker halyard to get the sail down. Unfortunately in the rush someone cut the main halyard instead! The result was the loss of the Spinnaker complete with sheets guys and halyard along with the need for a new main halyard, even so they managed to finish a credible 7th. With the race done Cowes Week 2008 was over. We finished 2nd in class behind Seatrack and all agreed the better crew had won on the day but it was oh so close! 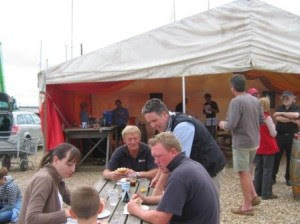 Here as promised are some photo's of the Thornham Marina Summer BBQ which all who attended throughly enjoyed, if you didn't make it we will be doing it again next year. As most of you I'm sure are aware last Saturday was the Round The Island Race 2008 sponsored by JPMorgan Asset Management. 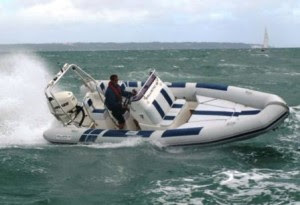 Simon and Jeanette were taking part aboard a Grand Soleil 37 called Grand Slam. This yacht was launched only four weeks ago and this was the first chance we had to race her. This year the race had the largest number of entries in the history of the event with 1875 yachts entered and a mix that went from traditional wood classics to state of the art ocean racers. For those of you who have never been involved with this event I would like to explain some things; with so many boats starting and the course having to be completed in daylight the start is early, the first start being at 0600. This doesn't sound too bad except that you have to first of all have to get to the boat and get it ready and then motor to the start line off Cowes on the Isle of Wight, all this after the obligatory 'race brief' the night before. For us this meant an alarm call at 0330! And we were starting half way through the start sequence at 0650. Even with all this planning one of our crew managed to be late meaning we got to the start area with only minutes to spare. The hour and a half trip from Port Solent in Portsmouth Harbour where the yacht is kept did just about allow time for much needed bacon rolls and coffee, not easy to prepare in a bouncing yacht with ten hungry people to feed. Once in the start area it is straight into race mode and with 200 yachts on our start and another 800 or so waiting for the following starts it's an anxious time for owners, skippers and crew with everyone trying to get their yachts in the optimum position for the start while at the same time avoiding the other 199 yachts trying to do the same thing. At the given time the gun goes and we're all off whether you are on the start line or not. We got a pretty good start and headed off towards Hurst Castle and the Needles, first of all keeping in close to the Royal Yacht Squadron and Gurnard to try and make the most of tide. The wind was from the SW so this meant short tacking along this shore along with the majority of the fleet who strangely had the same idea. As we carried on down the Western Solent the fleet spread out and things became slightly calmer although a good lookout was still required. Hurst castle fairly flew by with the tide washing us out and then it was on to the needles where one of the biggest decisions of the race has to be made. A few hundred metres off the Needles lighthouse is the wreck of an old steamship the Varvassi which lies just below the surface of the water. Between this wreck and the lighthouse is a navigable gap with the opportunity to save time, the down side is if you get it wrong it is the end of your race and often involves the lifeboat. Having navigated through here several times I know how stressful this is for the decision makers on board and you could feel the tension ease as we passed painlessly through, eased the sheets and hoisted the spinnaker for the long run down the back of the Isle of Wight to St Catherine's Point and onwards to Bembridge Ledge Buoy. By now the wind was blowing Force 5-6 on the Beaufort scale and with the tide against us the sea was quite lumpy, we headed inshore to try and avoid the worst of the tide and although this made for a slightly longer route would save time. By now we were battling with the front of our class which kept the pressure on and helps keep the concentration going as the spinnaker needs constant adjustment of the sheet and guy with every change in wind speed and wave to get the most out of it. Now, with everyone heading downwind, it was a lot easier to see how everyone was doing and how the different tactics were working, Zarafa, a yacht Jeanette and Simon have sailed on and against for many years, went slightly further inshore and as a result eventually gained a couple of boat lengths on us as we arrived at St Catherine's. The overfalls at St Catherine's Point, an area of disturbed shallow water which kicks the sea up, was the most testing part of the race. The fastest way through this area was to head into the overfalls and once clear of the rocks off the point gybe back inshore to avoid the worst of the tide, with the wind now up to Force 6 from the SW this was not only an interesting prospect but needed to be done several times between St Catherine's and Dunnose Point. While making our way along this leg of the course we did our best gybe while surfing down a wave at over 11Knots, and our worst which caused a major broach in common with most of our immediate competitors, an acceptable risk on a racing yacht with fully trained crew but this was not for the faint hearted! We reached Dunnose Pt. with boat and crew intact although several of the yachts around us had damaged their spinnakers beyond use. After this it was a relatively calm run down to the next turning mark at Bembridge Ledge. Shortly before the mark the headsail went up, the spinnaker came down and we hardened up round the buoy for the reach to No Man's Land Fort. We were still in the hunt for the top spot although Zarafa had pulled ahead again after we caught up with her off St Catherine's where her spinnaker blew out, and through some slick crew work had it replaced in short order. This leg was fairly straight forward with the main concern being keeping clear air from the yachts around. No Man's Land Fort brings an interesting little episode as when you round it there is a big wind shadow so the boats in front stop and you catch them rapidly until they are clear of the shadow and accelerate again while you are left there checking no one is going drive into your transom. Once the fort is cleared it's back onto the wind for the beat up the Eastern Solent to the finish off Cowes. By now the tide had turned and was against us once more, this meant tacking up the shore along the edge of Ryde Sand, making sure we didn't run aground. Once past there we headed in towards Osborne bay before popping out round the headland and into the big tide for the finish. We didn't perform very well on this leg and slid down the fleet a bit. After just short of 7 hours racing we crossed the finish line securing 4th in our class and 44th out of the 1800 odd yachts that eventually started, a good result but we were slightly disappointed at letting a couple of places slip away on the final leg. Anyway once across the line it was engine on and sails down to admire the sight of over 1000 yachts tacking up the Solent towards the finish as we headed for home, not to mention a well earned beer. 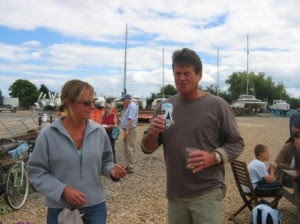 We eventually moored up at Port Solent just after 1700 Hrs satisfied and tired after a hard but fun Round The Island Race, roll on 2009. Water in Chichester and Langstone harbours will be cleaner than it has been thanks to a multi-million pound upgrade of wastewater treatment works. Southern Water has poured cash into installing new hi-tech filters at its treatment works at Thornham, Bosham and Sidlesham. The upgrades have involved pouring millions of grains of sand into huge filter machines. The sand filters out nitrogen, which can harm the marine environment. The improvements mean that less nitrogen will be able to leak into the sea. John Spence, Southern Water's wastewater and environment strategy manager, said: 'The wastewater already goes through an extensive treatment process before it is released into the sea. Thornham Marina Nr. Emsworth in Chichester Harbour have a couple of swinging moorings available from July-September 2008 at a cost of only £30.00 per month. The Moorings at Thornham Marina are suitable for yachts or motorboats up to 9m in length. At low tide these moorings dry out and so are not suitable for fin keeled yachts. The 2008 Round Britain Offshore Powerboat Race starts this Saturday from Gunwharf Quays, Portsmouth when they will head off on the first leg to Plymouth. The first start of the day will be at 0930 so if you are out on the water, as i will be, take care. They will finish back in Portsmouth on the 30th June. You can keep up to date with all that's going on from the 2008 Round Britain Offshore Powerboat Race website and even track their progress through the Marinetrack site. Thornham Marina jackets stolen from Thornham Marina, Emsworth. 97 Thornham Marina jackets have been stolen from the stores at Thornham Marina. The thieves broke in to our secure stores a couple of days ago, These jackets were new and in their packets. They are navy blue waterproof sailing jackets with an embroidered Thornham Marina logo on the front left breast pocket and collar. There is also a Thornham Marina tag sown into the bottom left seam of the jacket. The Thornham Marina jackets are unique jackets that are only given to staff and marina customers. 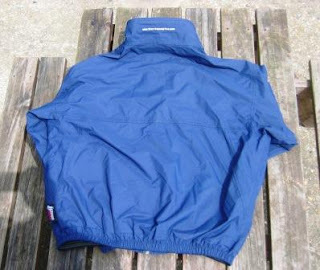 If you see anyone who is not a Thornham Marina customer wearing a jacket it is most likely stolen. 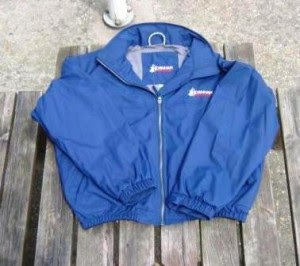 If you know anything about these stolen jackets please call Thornham Marina on 01243 375335. At the same time 134 JBT Marine Ballistic Rib jackets were also stolen from the same stores. 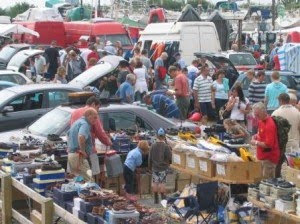 On Sunday the first of June Thornham Marina held it's first ever boat jumble, this was organised by Sussex Boat Jumbles and hosted by the Marina. 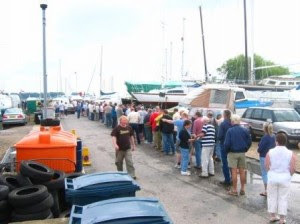 The early shoppers were eager to search out bargins and the queue stretched from the slipway right back to the main gate. With over 640 visitors the popularity of the event put a strain on the car parking over the peak time, something we will have to address if we hold it again next year. Both our customers and visitors enjoyed the venue, and with £800.00 being donated to charity we feel it was a worth while event. 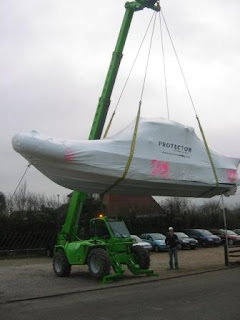 Tomorrow 23 April, Thornham Marina Staff along with JBT Marine will be entering the Marine Industry Regatta. This is our second year in the event last year coming 5th being tied on equal points with third place but looseing out on count back. The report for last year is below. We will let you know how we get on this year soon. The 4th Marine Industry Regatta ran on Wednesday April 25 out of Port Solent with 42 of Sunsail's Jeanneau Sun Fast 37s taking part; the biggest and best event to date and the first that we have managed to get all four races run. Conditions were excellent for this year's Marine Industry Regatta. And we finished the event in bright sunshine... After the first two races it looked as if the fleet was facing another trouncing by last year's winner, Beacon Park Boats, the canal hire boat company from the Brecon Beacons, as skipper Alasdair Kirkpatrick brought his boat home for two first places.But it was not to be. 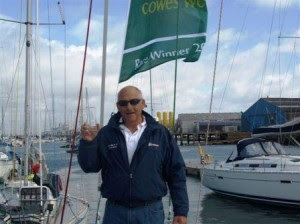 It was almost as if one of the regular and established Solent rock stars had managed to tie a bucket to the Beacon Park Boats boat because they promptly scored two 35th places to finish in 13th overall. 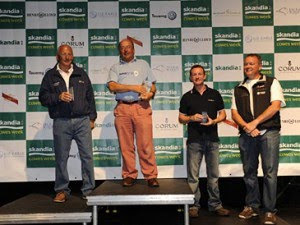 In the meantime, Ian Dawson and Richard Lovering made their marks on the Marine Industry Regatta. Both new entries this year, Dawson took Kayospruce to finishes of 2, 3, 1, 1, while Lovering took Hyde Sails to 3, 9, 2, 4. With three races to count from the four sailed, Kayospruce's four points made short work of Hyde Sails' nine. Rob Clarke brought Rockley Watersports home with 17, 10, 6, 3 to provoke a four boat, 19pt tie for third, fourth, fifth and sixth places as Adrian Miles, Simon Oatley and David Barrow all came in with 19pts. The ties were decided on countback according to RRS A 8.1, leaving Rockley Watersports 3rd, Bruntons Propellers in the final trophy place in 4th, with late entry Thornham Marina & JBT, Ribs for Sale in equal 5th with Barton Marine Equipment. There were a few more prizes to be presented this year, with Oval Stainless providing a trophy and Gas Check Marine providing three bottles of bubbly. Matthew Eeles brought B&G home with 20, 20, 7, 5 to be Oval's Most Improved Boat Over The Series, while Peter Gordon Piloted Rockley Watersports Over 40s to be Gas Check's Highest Placed Boat Overall Without a Top 5 Finish. 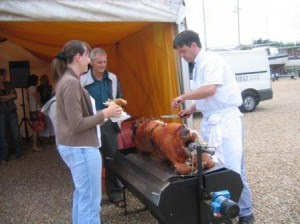 Thornham Marina & JBT, Ribs for Sale also featured in a new award. 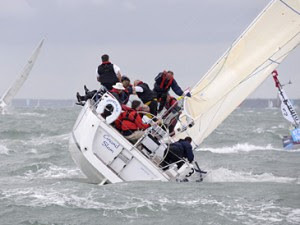 As this incident took place, those of us who witnessed it thought it should be called the Houdini Trophy for the greatest escape of the regatta. In the end, Mike Shepherd nominated it as The Boat That Scared Peter Nash The Most. 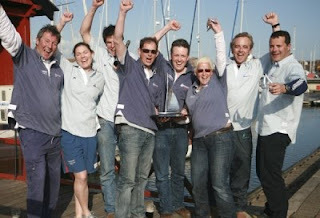 The award went to Thornham Marina for its astonishing charge through the fleet at the 3rd start. With the massed fleet flogging to slow down as we all approached the start on starboard, Simon Oatley appeared with Thornham Marina from the wrong side of the line - on port - with the main pinned hard in - dead set on finding a hole in the seemingly continuous line of boats waiting to start. The entire crew on the Boating Business boat winced, expecting to hear the bone crunching sound of GRP against GRP as the Thornham boat careered through minute gap after gap. At one stage Oatley flung the boat over to port, narrowly missing a stern as he sought a path through the massed ranks. Then he bore away - the masts must have been inches apart - and then swerved back to port. How he got away with it, we don't know. But what an effort! Congratulations and thanks for making such a magnificent entrance to the Marine Industry Regatta. We hope to see you again next year, if your nerves (and those of your crew) hold out. Sunsail did an excellent job this year. 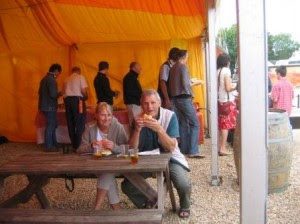 We had a marquee alongside the Portsmouth Harbour Yacht Club so we had enough room to seat the 300 or so diners. Then it was down to the dinner. And the food was excellent - a chilli with a bit of bite and a veggie option. Excellent stuff. As with last year's regatta, we put two jugs of margaritas per boat on the tables, but they didn't seem to go down so well as they had last year. Simon Wood Power assured me it was the colour: it looks like anti-freeze, he told me. I found myself on the pontoons at 01.00 with a group of around 30 people, many of whom seemed to be on board the Oval Stainless boat. All of us were drinking Cooney Marine's beer, so thanks for that James. 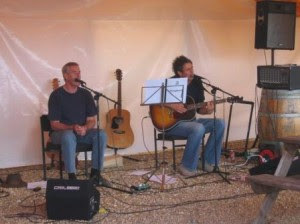 A great event all round. Well done the PHYC Race Officer Rob Tattersall for getting all four races in; well done Fiona Gill for her organisation at Sunsail; well done Kath Woodham for the food and exceptionally well done the Saltwater Team of Louise and Nikki for the shoreside arrangements. And thank you everyone for singing Happy Birthday to BB's Lorraine Curtis at the prizegiving. Thornham Marina is now stocking Seajet antifoul. We have in stock Seajet 037 coastal, 033 Shogun and antifoul primer we are also selling rollers, brushes and tape, so we have everything you need to complete your antifouling, alternativly ask for a quote and we could do it for you. The twelve different anti-foul brands chosen for comparison were carefully applied last April as stripes on the hull of YM consultant editor, James Jermain's Scanmar 33, Sweet Lucy, which he keeps on a swinging mooring in the River Tamar, Cornwall, UK. The yacht was hauled out after nine months and the results analysed. 033 Shogun was allocated five out of five stars for performance with the following comment: " An easy product to apply with a good balance between thickness and flow. Good obliteration of sub-strate. An excellent all round performance spoiled by one or two barnacles on the after patch on the starboard side. Elsewhere there was no waterline fringe and most panels were almost clean of slime ". Commenting on the result, Michael Hop, Seajet General Manager said: " We always knew our products performed very well, but when an important magazine, such as Yachting Monthly, offers completely independent verification, then the consumer's buying decision is made that much easier ". 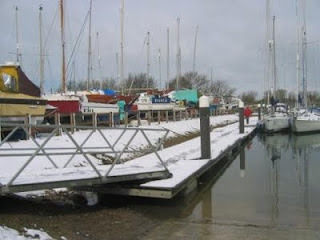 This is a picture of Thornham Marina at high tide on Monday 10th March, more pics soon!